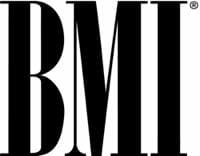 >>The BMI Christian Music Awards will be presented Monday, April 4 at the performing rights organization’s Music Row offices. The annual invitation-only event will salute the songwriters and publishers of the past year’s most performed Christian and gospel songs on U.S. Christian radio. Hosted by Jody Williams, Vice President, Writer/Publisher Relations, along with Dir., Writer/Publisher Relations Beth Mason and Sr. Dir., Writer/Publisher Relations Thomas Cain, the ceremony will also recognize the BMI Christian Song, Songwriter and Publisher of the Year. >>Leadership Music’s Dale Franklin Award will be presented to the Country Music Association on May 17, 2011 at the Renaissance Nashville Hotel. This event is invitation-only. « Rodney Atkins Teams With Tractor Co.